To take the growth curve to further heights, POWERGRID is looking for bright, committed and energetic individuals to join its fold as EXECUTIVE TRAINEES (HR). 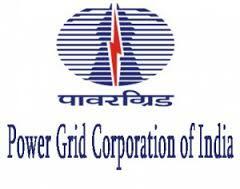 Job Location Power Grid Corporation of India Ltd.
Aspirants age limit should be 28 years as on 31st July 2018.Age relaxation as per PGCIL notification. Relaxation in Marks in essential qualification for SC & ST candidates: Qualifying Marks in essential qualification is relaxed to 50%. For all aspirants are required to pay Rs.500/- Examination fee through Debit Card/Credit Card / Net Banking/ UPI or available e-Wallet.